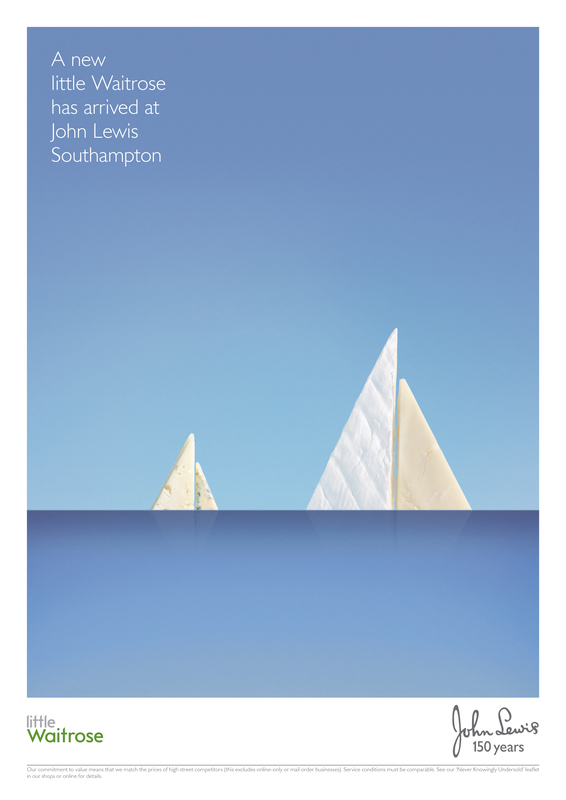 John Lewis Southampton’s New Look print advertising campaign has won the Epica Grand Prix for Press this week. 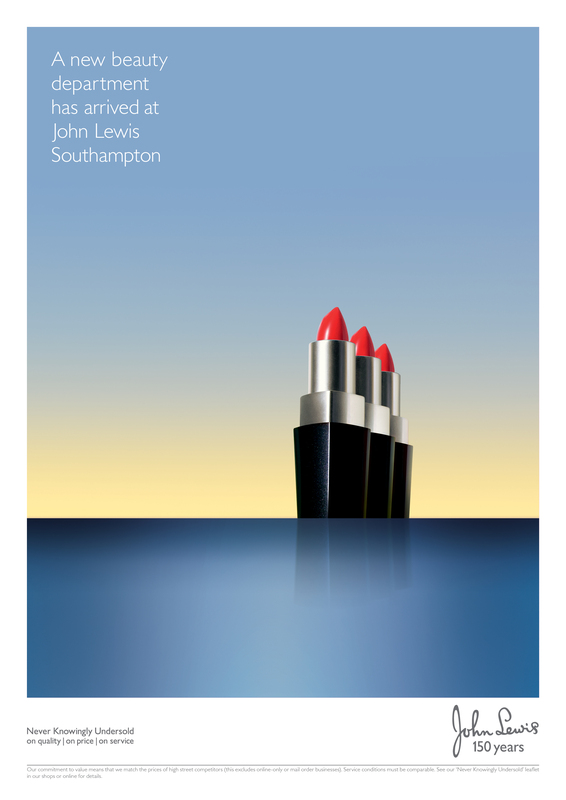 Three print ads present a horizon with stylised ships consisting of lampshades, cheeses and lipsticks. 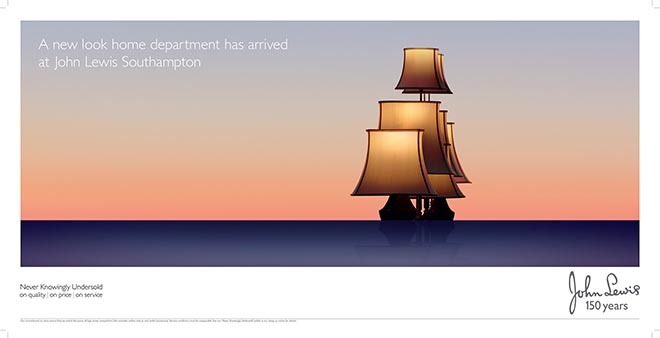 “Lampshade” promotes the new look home department. 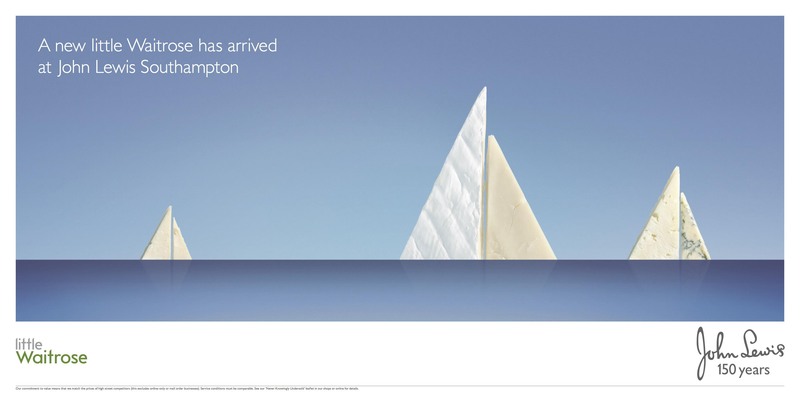 “Cheese” promotes a new look Little Waitrose. 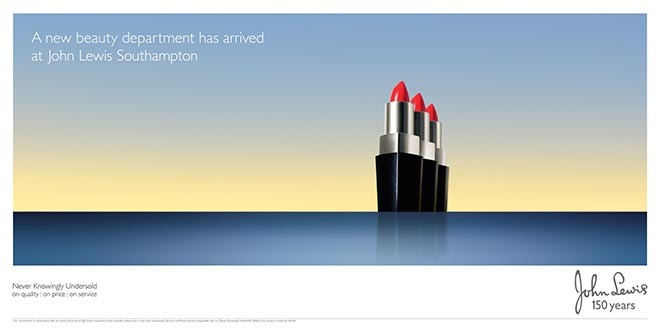 “Lipstick” promotes a new beauty department. We’ve included here the billboard and press versions. “A new look home department has arrived at John Lewis Southampton”, the title on the Lampshade ad, is a reference to the role the port of Southampton has played in trade over the centuries. The John Lewis Southampton campaign was developed at adam&eveDDB, London, by executive creative directors Ben Priest, Ben Tollett, Emer Stamp, copywriter Alex Lucas, art director Jon Farley, designer/typographer Paul Knowles, agency producer Amy Coomber, planner David Golding, account director Lauren Tomlinson, account manager Mike Beer, planner David Golding, and business director Tammy Einav. 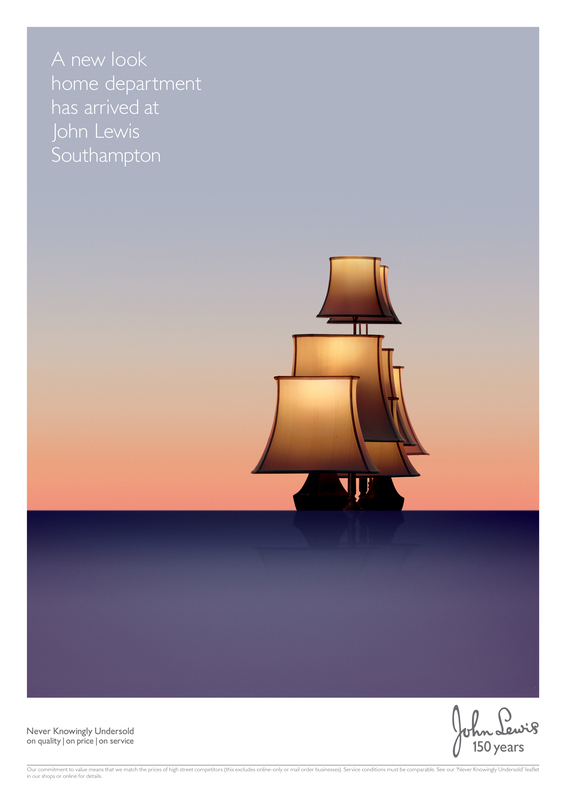 Photography by Romin Favre was retouched by Mark Doherty, Stanley’s Post, King Henry and at Gutenberg Networks.